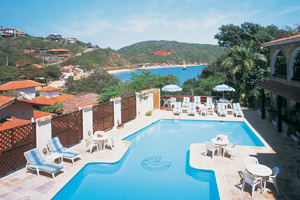 The Colonna Park Othon Classic Hotel is located at the end of Buzios peninsula, on the top of a hill and between João Fernandes and João Fernandinho beaches, with an amazing panoramic view. 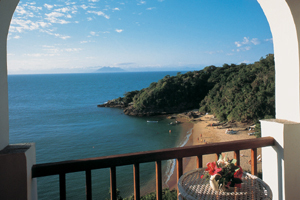 The hotel is within easy reach of popular tourist attractions, shops, restaurants, entertainment venues and beaches, making it the perfect choice for a seaside holiday in Buzios The hotel has 63 apartments and suites, all of them equipped with: air conditioning, telephone, minibar, cable TV and safe. Some other hotel's facilities are: laundry service, room service, swimming pool, sauna, rental of diving equipment, boats and schooner rides. When would you like to stay at Colonna Park Hotel ? 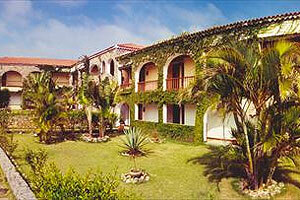 1) Rates at the Colonna Park Hotel may not be valid during Carnival, New Years, Easter and other special dates.